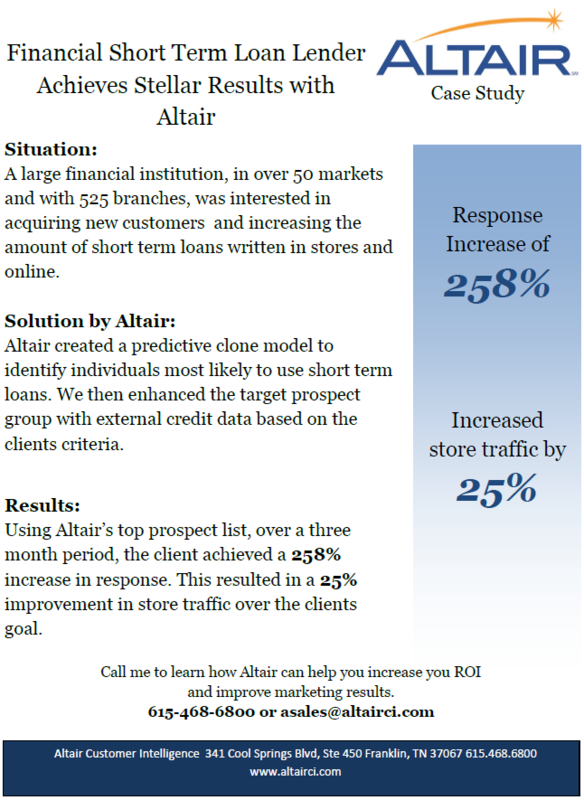 Altair has helped many consumer finance clients achieve increased ROI. Call 615.468.6800 to find out how we can do the same for you! This entry was posted in Consumer Finance, Financial Marketing Case Studies and tagged Case Studies, Consumer Finance. Bookmark the permalink.